Detectives with the Orange County Sheriff’s Department believe an 11-year-old girl who went missing from her foster home in San Clemente may be in Colorado with her mother, who recently lost custody of her daughter, authorities said Monday. 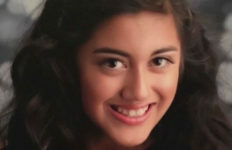 Kaia Fina was last seen Friday and may be traveling with her mother in a black 2007 BMW X3, California license plate 7RRY771, said Carrie Braun of the sheriff’s department. Though Sera Jeselle Fina, 42, lost custody of Kaia, she did have visitation rights and saw her daughter last week, Braun said. The elder Fina was arrested Aug. 10 for failing to appear for traffic violations dating back to September 2012, according to court records. She pleaded guilty last month to driving on a suspended license and failing to properly secure a child in a vehicle and was sentenced to six days in jail, given credit for time served and released. Shortly after that, her daughter was placed in foster care, Braun said. Sheriff’s investigators have contacted the girl’s father, who lives out of state, but have not been able to get in touch with her mother, Braun said. Detectives now believe the girl is with her mother in the Denver area, according to the sheriff’s department. In October 2008, Sera Fina sought a restraining order against Kaia’s father, Philip Christopher Gregory, alleging he had beaten her while she was eight months pregnant and threatened to kill her if she reported the attacks to police. She also alleged he had hired a private investigator to follow her and threatened to abduct their daughter. Sera Fina dropped the restraining order request a month later and declined to press charges, telling Irvine police she only wanted to make a report, according to the court records. Gregory, 38, was accused of making annoying phone calls in June 2008, but misdemeanor charges filed in October 2012 were dismissed three weeks later, court records show. 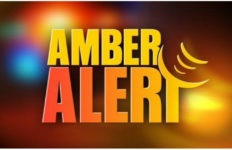 The youngster left her foster home at 2:30 a.m. Friday on her own, according to Braun, who said about 50 sheriff’s investigators searched the area around the foster home over the weekend. She said Kaia is unfamiliar with the area. The girl is white with blond hair and blue eyes. She stands 5 feet tall and weighs about 80 pounds. Deputies asked anyone with information on her whereabouts to call the Orange County Sheriff’s Department at (714) 628-7085.